When making your disaster preparation plans, in my opinion, the first question that should be asked is whether one should evacuate or not? In cases of weather-related disasters, it’s easier to evacuate, due to having advanced warning of the impending storm or what-have-you. In the case of an earthquake or civil unrest, warning time is much less, if any, and it’s best to plan to shelter in place. If one chooses to stay, the firearms question becomes relatively simple. Keep them secured as you would normally. Also make sure each weapon is function-checked and properly lubricated, with your chosen defensive weapon preferably ready to go at a second’s notice. Home carry your pistol, and be armed outside your home if legally possible. 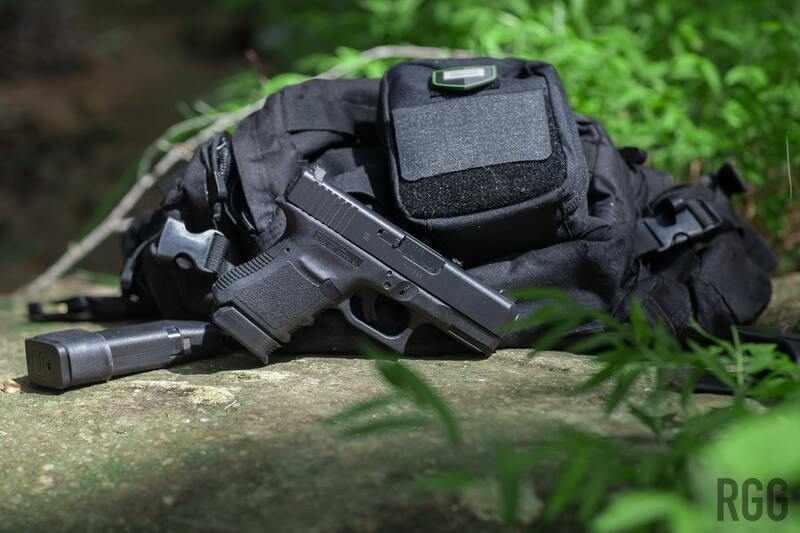 In some cases, states where carrying a firearm outside of the home requires a permit make an allowance for disasters and enact temporary permitless-carry measures so one can be armed at all times. Florida’s 790.01 Section A law allows for permitless carry in the act of an evacuation for 48 hours after an order is issued, or for a length of time specified by the Governor. In essence, Constitutional Carry comes to the Sunshine State for two days if there’s a storm coming and Rick Scott gives the order. Yes, it’s in the context of an evacuation, but in a certain manner it does become permitless carry. If one chooses to evacuate, things get a little more complicated with regards to firearms, especially if one lacks a true gun safe. As an aside, most ‘gun safes’ are not technically safes. They are classified as Residential Security Containers, and typically cost under $1000. A true gun safe is a beast of an enclosure that can weigh in excess of a ton and has a price tag to match. In a nutshell, these “RSCs” can typically be defeated with hand tools and pry bars in less than ten minutes. And, if your place is evacuated, the power is out, and the police nowhere to be found, a looter has all the time in the world to crack your RSC. A true safe, on the other hand, requires heavy duty machinery to crack, most of which requires power to operate, stuff that would draw attention even after a major disaster. For more on safes, head on over to the Gun Safe Review Guy. Anyways, the consideration of what to do with your guns is an important one, since you are responsible for their safety and security at all times. Whether you have one gun, ten guns, or more, it’s your responsibility. You have to plan to get them out of harm’s way. If you evacuate, and looters get ahold of your firearms, and eventually the trace comes back to you, it will become a problem. Especially if you have NFA items. The ATF takes NFA item theft very seriously, and it wouldn’t do for a squad of thugs to get their hands on an SBR, suppressor, or machine gun. We pride ourselves on being responsible gun owners, and this is a 24/7/365 duty. With regards to moving guns during an evacuation - get creative. Pistols are a no-brainer since even in their cases they don’t take up much room. Stack ‘em and secure ‘em. Put one on your hip for the drive if you can. Long guns, take them out of their cases, wrap them in sheets and blankets, and you can fit a whole bunch into even a small vehicle. When you get to your destination, remove them from your vehicle and bring them with you. Inconvenient, sure, but don’t take chances even in your evacuation location. With NFA items, plan, cajole, beg, do whatever it takes to move them. Again, they have to go with you. Ammo is another thing entirely. I found out just how much even smaller amounts of ammo weighed when I was preparing to evacuate. My advice is to bring a good cross-section of your ammo stash with you, within reason. Find out how much your vehicle can hold in terms of cargo, and factor that in. Unless you have a truck or large SUV, it’s gonna be disappointingly small. But still, bring some ammo. If you have to filter down, bring defensive hollow-points only and leave the FMJ. Some people consider leaving all their ammo, but I consider it an unwise move. You may come home to complete chaos, and the one thing you’ll need is a loaded and operational weapon. Bring ammo with you. Maybe a lot of it, depending. With the remaining ammo, I recommend stashing it in a secure room somewhere in your home, preferably out of the reach of water and intrusion from the elements. While this isn’t 100% effective, it should be adequate for most situations. There exists options for waterproof storage of course, but those are out of the reach of most of my readership, I suspect. In most jurisdictions, you aren’t responsible for the disposition of ammunition during a disaster. Check your local laws to be sure. Also, consider the laws of wherever you plan on evacuating to, especially if it’s out of state, and especially if you have NFA items. If you live in one of the 38 or so “free states” in the Union, it’s a no-brainer. Move your guns from Florida to Georgia, like I did, and it’s perfectly legal. With NFA items except for suppressors, you have to file a Form 5320.20 to move them. The ATF typically rubberstamps approvals of these forms during an emergency, so NFA item owners needn’t worry about approval delays. They receive it, it’s pretty much approved within hours, according to noted NFA Attorney David M Goldman. You can submit the “Form 20” and hit the road. Nonetheless, one should have a concrete transport plan for all their firearms in case of an emergency. Consider weight, size, limits on vehicles, NFA status of the firearms, and ammunition needed. In this case I can tell you it helps to have multiple vehicles at your disposal. Frankly, other preparations during a disaster have been covered in-depth just about everywhere else. There’s innumerable prepper blogs out there with great advice on medicine, food, and more. In this case, I’ll give you my own personal observations on other things we acquired and bought for Hurricane Irma. Clean water is your best friend. Stock up on water, a lot of it. Think a gallon per person per day. While bottled water is great, one can purchase water-specific containers for cheap. You can fill them up with tap water before a storm and save a bundle. Also worth obtaining are water purification kits for if you run low on fresh water. Batteries. Buy plenty of the common sizes you’ll need for lights and lanterns and electronics. Also handy is to have a large uninterruptible power supply to charge up things like mobile devices and laptops. A large server-grade UPS can keep your devices happy for several charge cycles for a long time. Back-up communication methods. Cellular networks are overwhelmed and can fail during a disaster. I firmly recommend two-way radio communications. Little FRS radios or commercial-grade GMRS radio comes in handy to keep in touch with your family and friends during and after the storm. The truly enterprising can get a radio scanner to keep appraised of what emergency services are doing in the area. Survival food. Think military Meals Ready To Eat, aka MREs, aka Meals Rejected By Ethiopians, aka Meals Ready to Excrete. May or may not be tasty, but they’ll get you going. Medicines, first-aid, and so on. You might get sick, or get hurt. Be prepared. Stock up on all the essentials, even if a storm or disaster isn’t imminent. You should have it all anyways. Fuel. If you are staying, you’ll need propane or charcoal for the grill if you don’t have a gas stove. If you are going, you’ll need gas for your car. Note, consider carefully where you put your backup gas can - on the back of your car is not advisable. Think of the sobering tale of the Ford Pinto. Urban areas in this nation of ours are important to the economy. The businesses of finance, technology, and the arts all have their homes in our great metropolises. However, urban areas have to truck in nearly every consumable resource. There’s no farms in Downtown Miami, and there’s certainly no oil refineries in South Beach. Thankfully, most disasters are localized, and one’s goal should be to survive for a week without outside support in an urban area. Beyond that, things will get dicey, and the implications of no outside assistance coming in basically mean the disaster isn’t localized, i.e. the Zombie Apocalypse, Red Dawn, you name it, which is beyond the scope of this article. Regardless of the scope of the disaster, the rural areas of our country are at an advantage due to lower population density and an abundance of natural resources. With skill, one can evacuate and live off the land, as it were. We dodged a bullet with Hurricane Irma. While power is out in some areas of Florida still, and the Keys took a devastating hit, essential services are coming back to life. Private, volunteer, and government resources have been marshaled to help those most affected. If you can, give to charities like the Salvation Army, where aid will be expedited to those in need. However, it could have been a lot worse. Irma was bigger than Andrew, and more powerful than Katrina. The death toll, while tragic, was thankfully low. However, the storm did reveal gaps in my own disaster planning and the plans of people I know. We all made it, but it was a bit of a juggling act at times. Let’s take it as a learning experience and get ready for the next one.